The anger just rolls from such a tiny body and leaves you feeling helpless. You are doing everything you can to keep your cool, “It’s going to be okay” is all you seem to be able to muster. Your child is convinced the world is against him and that it is for sure NOT going to be okay. As the door slams, you slump to the ground with your hands over your face and wonder… what could I possibly say. 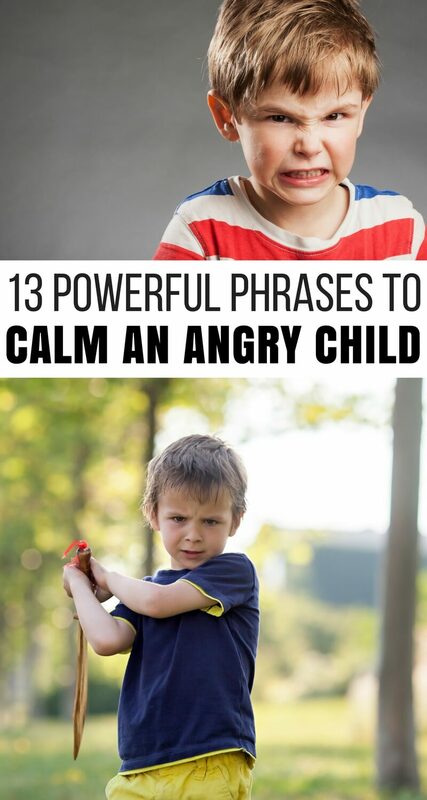 Here are 13 powerful phrases proven to calm an angry child that are perfect for those heated moments. You are not alone. In fact, time and time again, I am reminded of just how many of us struggle to have the words to say to calm an angry child. We’ve been taught that no child should speak to an adult like that, yet deep down we know they just don’t mean it either. I love you. It is incredibly important to remind your angry child that you still love them. That no matter what they say to you, you will indeed love them. These three words should be repeated in a calm manner as often as your child will hear you. I see that you are upset. 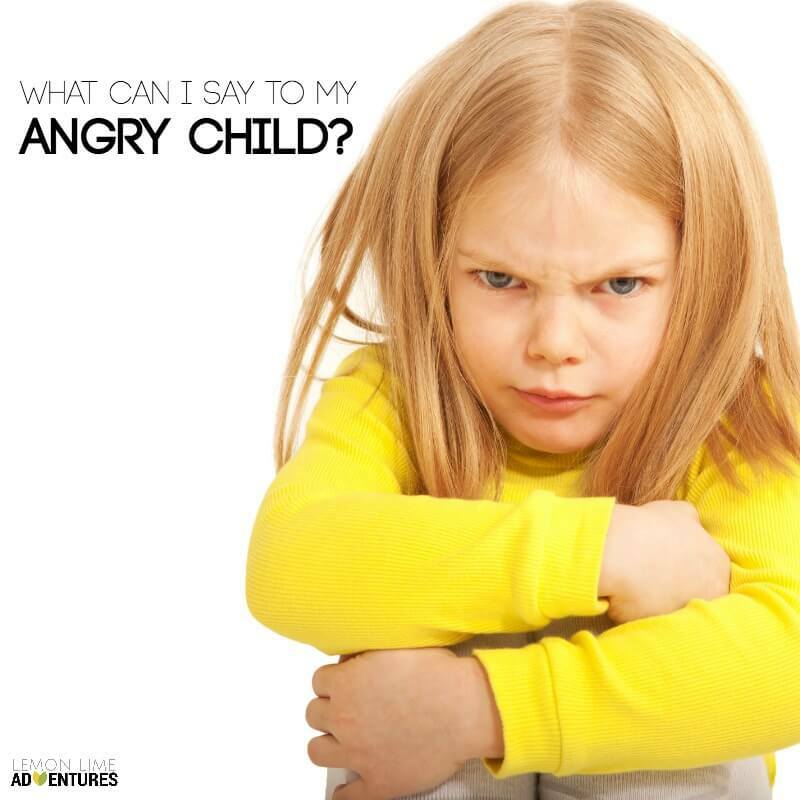 Letting a child know that you can physically see their anger helps them become self-aware of what is happening to their body when they are angry. It allows you the chance to talk to them about the situation without trying to solve the problem immediately. It is okay to be angry. Validate their emotions. Yes, they might be going off the deep end over something you don’t truly understand, but right now that doesn’t matter. They need to see the rational adult validating their feelings. Would you like my help? You might have read that the best suggestion for an angry child is to give them a hug. However, some children will downright refuse any touch or help in their most heightened emotions. Giving them choice puts ownership on them and allows them the ability to accept or deny your strategies and help. Would you like to try…. While this is not the time to rationalize with your child, it is okay to offer your help. Often times a child is expressing extreme anger because they don’t know how to self-regulate. 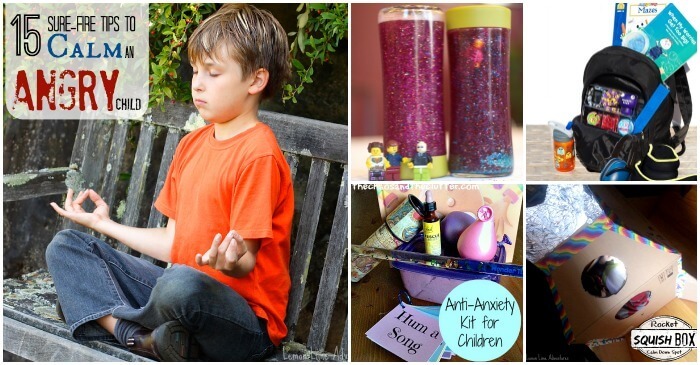 You can offer many calming strategies or suggestions for help. I would suggest only suggesting one and then waiting some time before speaking again. Can we start over? Sometimes, we all just need a do-over. Sometimes, kids don’t even realize they are getting worked up or emotional until it is too late and their brains have already entered the flight or fight response. 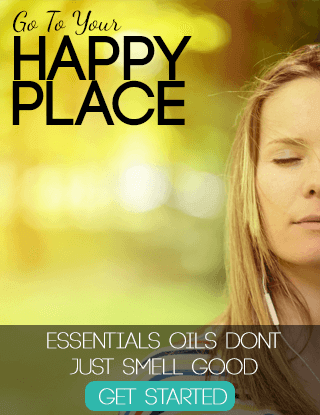 Offering a simple do-over can be a great way to get through the frustrations. I am sure we can find a solution later… Now is not the time to try to reason with your child. They might want an answer now. They might want to argue now. Now is not the time. Once they are calm and they have left the “flight or fight” response you can start to address what made them so upset in the first place. It is not okay to… It is important to set limits and be consistent. Let your child know that it is okay to have these big emotions and you will love them through these explosions, but it is never okay to hit or hurt others. You are safe… One thing that causes children to act out with anger is fear. They could be afraid of what will happen when the fit is over, they could be worried you will be mad at them, or worse they may actually fear for their safety. Remind them in a calm and collected voice that they are safe. I remember last time we tried… If your child is just beginning this journey of big emotions and hurt feelings, they might remember everything you have been trying up until now. They might need reminders of what works and what doesn’t. The hope is that with each outburst, things start to return to calm a little faster each time. I will be here when you are ready… Above all, remind your child you are not leaving them. Sometimes, we as parents need breaks too! We need to step away from the situation to keep our cool, however, our children need to know we are there for them. Letting them know exactly where you are going and how they can find you when they are ready is a great way to give them reassurance and avoid telling them to “calm down”. Remember, loving an angry child is hard. It is exhausting for both you and your child. It is a journey that can’t be solved or traveled in one day. Most importantly, remember you are definitely not alone in this journey. If you are looking for some amazing books on parenting an angry child, I would highly recommend The Explosive Child and The Whole Brain Child . Both have been extremely revolutionary in my parenting strategies with my child with intense emotions. 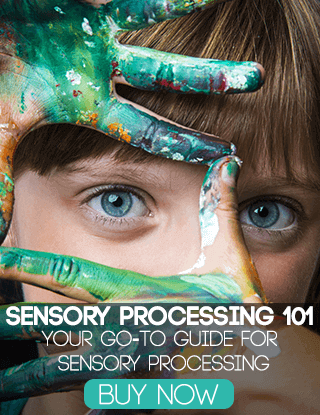 This post comes with a free printable to help you in a bind. If you need more help remaining calm, understanding your child’s anger and explosions, or you just need to know you are not alone. You are in the right place. In fact, I have a few resources I think you might find helpful. PS: Be sure to pin this post to refer back to these 13 powerful phrases as often as you need! If you know a kid that struggles with big emotions and expressing their feelings, you’ll love my new book coming out later this year. 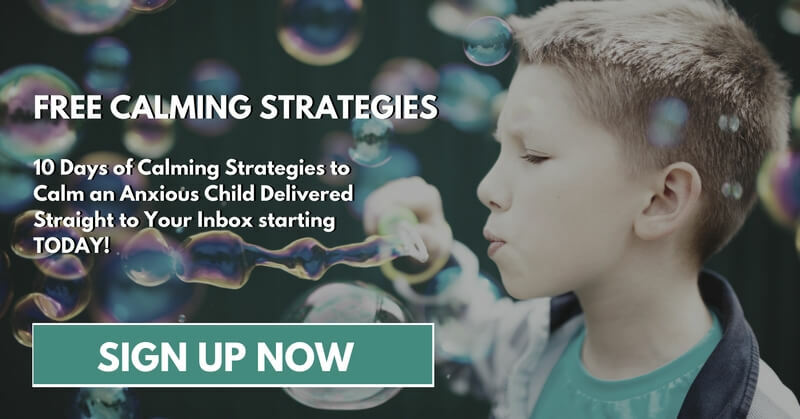 With over 75 day to day solutions for your kiddos, it empowers children to help adults understand why they do the things they do. 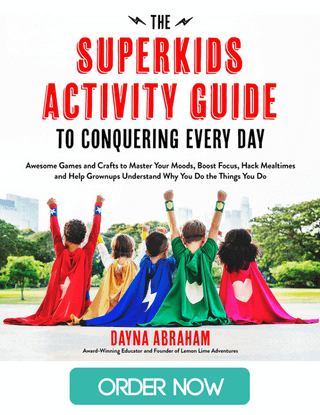 Hopefully, with the strategies in this book, both teachers, parents, and kids can conquer every day! You can order now ! Pssst… It’s gonna be epic!!! Thank you for this insightful article Dayna! This is hands down one of the bet artcicles I’ve read on this subject in years! This is excellent. Definitely going to share and refer this to others. Thank you Dayna! When I was a new Mom I remember reading that children (and parenting) do not come with manuals. However, I am older and wish the internet was around when I was raising my children. There are many tips available to any parent who cares to take the time to read, then assess the value, and put into play that which will work in their family. Not only are these techniques good for children, but would work well in many adult situations as well. Thanks so much for this great post. 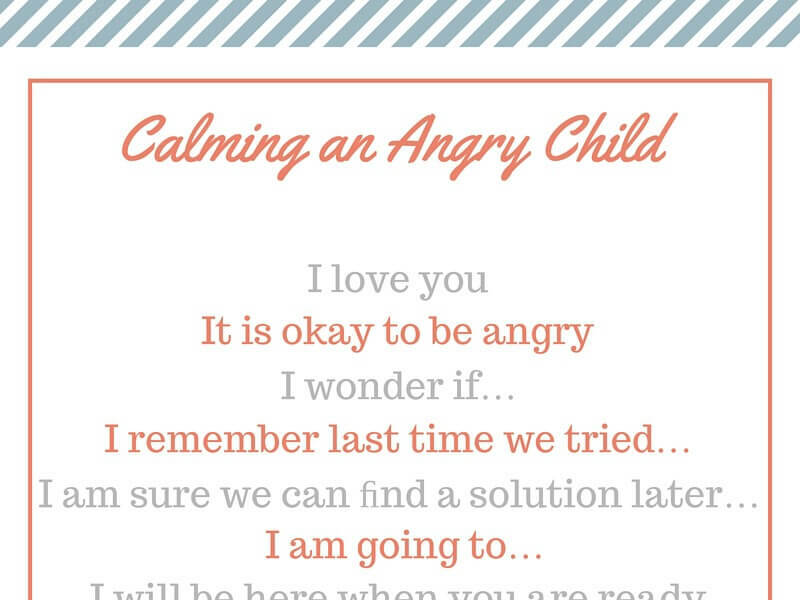 I think many of these will help us work through anger with our four year old. The suggestions are all reasonable, empathetic, straight-forward and achievable. Do you have any advice for an angry toddler unable to express themselves and unable to be reasoned with? My youngest is 21 months and his speech is a bit delayed, which is the likely cause for his frustration. Very good article, My husband and I been having a lot of problem with our 15 years old daughter right now. Pushing her limits and boundaries especially sleeping over with friends that we dont even know. Everthing for her will start a fight. It seems like we have a bomb in the house that is always ready to explode anytime. Lots of swearing and hurtful words that comes out from her mouth. I have an 8 and 2 years old that’s listening to her. So i’ve been trying to let her calm down, but it happens everytime almost everyday. She’s uncontrollable now. This started last year but it’s getting now. We don’t know what to do. Thank u so much for this article Dayna…. This is a great list, thanks for the ideas! Thank you so much for this! I was thinking, “I need to print this out and hang it up” and then I saw that you made a printable for us! You’re amazing and a huge blessing! 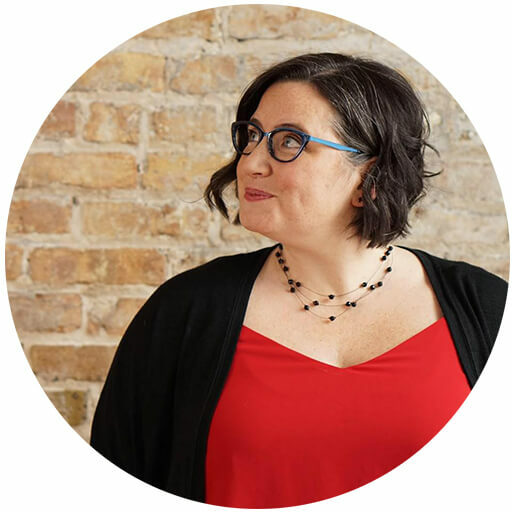 I am so happy to have found your website and cannot wait to read more and begin implementing your strategies! 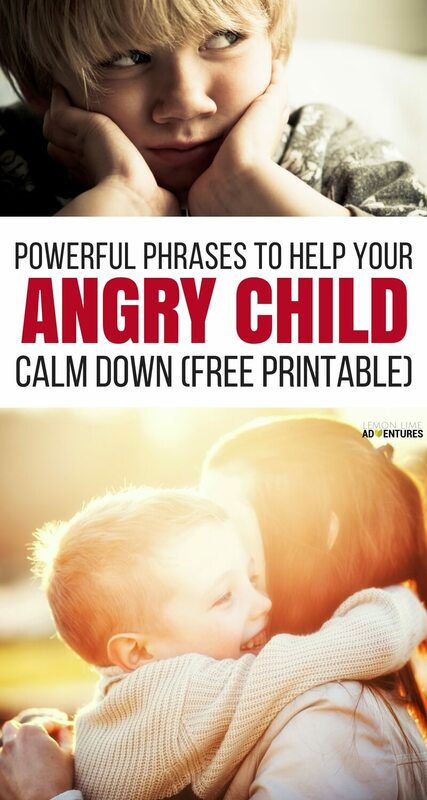 I attempted to download the Free Angry Child Phrases Cheat Sheet from above. After signing up for your newsletter and confirming my email address, I still don’t see anything to download. Thanks! Okay thank you so much. I am not sure why it works for some people and not for others. Can you email me so I can get it to you? Sure – mandyschott@gmail.com. Thank you so much!! Helpful article. Better to express anger than hold it in and then it comes out at the wrong time. If people can learn how to deal with anger in a child-adult situation, both will be better off in the later years. Anger is a normal reaction at times, to offensive and abusive situations as well. It is also a sign for the adult to look inward at themselves and what they may be doing wrong. Sometimes, it is as simple as not being listened to. I love your newsletter and these comments are great. 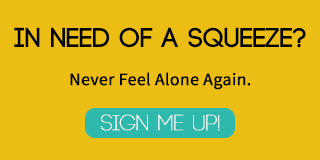 I tried several times to download the free printable and just kept signing up for the newsletter. ??? When you confirm, It should send you an email with the printable. Sometimes you have to search your email for my name. If you can’t find it in spam, email me and I can get it right to you. We are dealing with an angry 7 year old over and over. You’re right–it IS hard to love an angry child. But it’s still easy to say “I love you” to your child nonetheless. Thank you for this. I really needed it right now. I signed up, did not get the chest sheet….. Check your spam. It goes to your inbox. I tried one of these tonight with my little one, who like me has a very short fuse when tired. I would usually just send her up to bed to chill out, which does work, but not before she’s got cross with me and stomped all the way to her room. Then loads of tears. So today I asked her if she something might help her, suggesting a nap, time by herself to calm down or a cuddle. This had an immediate calming effect. She chose the cuddle, the strop was forgotten and we had a lovely half hour cuddle watching worst witch on catch up.